Percent per year. Average of Month. Moody's Aaa Corporate Bond Yield. Percent. Average of Month. 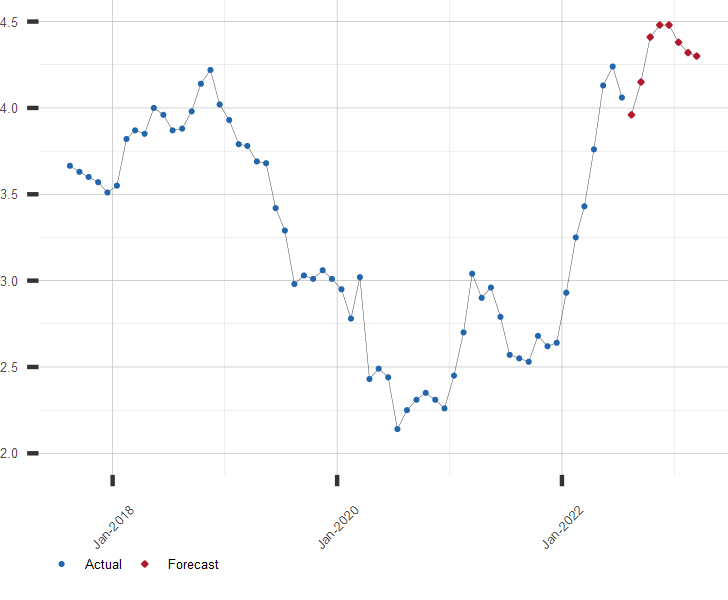 A long range forecast for Aaa Corporate Bond Yields and similar economic series is available by subscription. Click here for more information or to subscribe.